Rush the Court: Arizona is the overwhelming preseason favorite in the league. What is it about Sean Miller’s team that has expectations so high in Tucson? Don MacLean: The talent level there is very high. Sean Miller has brought in some very high-level recruits. Aaron Gordon brings another dimension for the team with his great athleticism and versatility to play inside and on the perimeter. T.J. McConnell is going to be great for the team. I worked the exhibition game last week and I was really impressed by McConnell. I think he is really good. He is the first true point guard that Sean Miller has had since he has been at Arizona. When you have all that talent, you need a pass-first guy to spread the ball around. From what I have seen, McConnell seems to be that guy. Sean Miller is also a great coach. With this roster, the depth that the team has, and Miller’s coaching, I think it is warranted to put Arizona as the best team in the league right now. Miles Simon: Sean Miller obviously brought in a tremendous recruiting class. Getting Aaron Gordon, Rondae Hollis-Jefferson and Elliott Pitts to come in is a good place to start with this team. Duquesne transfer T.J. McConnell is going to be an excellent addition for the team at point guard. When you look at this team, it is just so long and athletic. I think defensively, this might be the best group that Sean Miller has had since he has been at Arizona. There are just so many positives with this team going into the season. RTC: Oregon made a surprise trip to the Sweet Sixteen last March after pulling off upsets over Oklahoma State and Saint Louis. Gone from last season’s team are Arsalan Kazemi and E.J. Singler, but the Ducks did secure the services of UNLV transfer Mike Moser. With Moser joining a team that has the talented backcourt of Dominic Artis and Damyean Dotson returning, should Dana Altman’s squad take a step forward in the Pac-12 this season and should another NCAA Tournament run be expected? MacLean: You can never expect an NCAA Tournament run, but I think the team should be just as good. Do not forget that Oregon also added Joseph Young, the transfer from Houston. Adding Mike Moser as a fifth-year guy is an important piece and Dominic Artis and Damyean Dotson will be better as second-year players. With what Dana Altman does with his style of play and the way he changes up defenses, I think the Ducks will be as good as they were last season. Simon: I think Oregon will get back to the NCAA Tournament. It really has some nice pieces, but when you lose guys like Arsalan Kazemi, E.J. Singler, Tony Woods and Carlos Emory, you are losing what was the heart and soul of your team. A lot of leadership and toughness left with those guys. If Mike Moser is able to return to where he was with UNLV two years ago, he will be excellent. The backcourt of Dominic Artis and Damyean Dotson should be explosive and one of the best in the league. Johnathan Loyd is the third guard and he has some experience because he had to play a lot when Artis was injured last season. When you consider these pieces, this is a team that should get back to the NCAA Tournament and finish in the top half of the Pac-12. RTC: UCLA figures to be a very interesting team to follow in Steve Alford’s first season in Westwood. The talent is there for the Bruins with the returns of Jordan Adams, Kyle Anderson, and the Wear twins. What can reasonably be expected of the Bruins in both the conference race and the national picture in Steve Alford’s inaugural campaign? MacLean: I think UCLA will be in the conference race for sure. Just because it is Steve Alford’s first year, I think people are assuming the team is not going to be as good. It lost Shabazz Muhammad and Larry Drew from last season, but the Wear twins come back as fifth-year guys, Tony Parker is going to play a bigger role, and Jordan Adams and Kyle Anderson are very good players. UCLA has talent. I do not think it has the same kind of talent as Arizona, but I think it is in that group with Colorado, Oregon, and Cal that is a notch below Arizona, but are still certainly contenders. 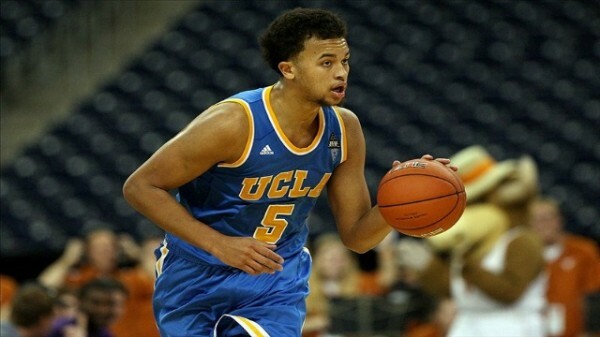 Simon: UCLA should definitely contend to be in the top three in the conference. The talent is there. Kyle Anderson is terrific. He is a dynamic 6’8″ guy who serves as kind of a point forward. Jordan Adams was probably the least heralded of last year’s recruiting class, but probably had the best year of anyone in the class. If he is back healthy after suffering a broken foot last March, he should be an All-Pac-12 player. The Wear twins being back is important. Travis Wear really played well last season and I think both of them will thrive in Steve Alford’s motion offense system. If Tony Parker can stay in shape, he will be a presence down low. Like I said earlier, the talent is there. This is a team that should be in the Top 20 nationally. RTC: Colorado suffered an offseason blow when talented swingman Andre Roberson declared for the NBA Draft, but most of the talent – including star junior Spencer Dinwiddie – from last season’s 21-win team returns. Can it be expected of Colorado to potentially challenge for a top spot in the league and for Tad Boyle to lead his squad to its third consecutive NCAA Tournament appearance? MacLean: I do not think there is any doubt that Colorado is going to make the NCAA Tournament. If it can challenge Arizona in the Pac-12 is something that remains to be seen, but this Colorado team is very good. I really like Spencer Dinwiddie and Askia Booker. I have not seen him play, but from what I understand, they really like redshirt freshman Wesley Gordon and think he can come in and pick up some of the slack that was left with Roberson’s departure. Xavier Johnson and Josh Scott had good freshmen seasons and I think those guys will take a step forward. I think Colorado is absolutely an NCAA Tournament team. Simon: Absolutely. Colorado returns four starters with Spencer Dinwiddie, Askia Booker, Xavier Johnson and Josh Scott. I have heard that Josh Scott has put on some extra bulk. He is one of the best post players in the league. Spencer Dinwiddie is going to be an NBA player as a 6’6″ guy who can really take the ball to the basket. Wesley Gordon is a guy who redshirted last year due to a lack of available minutes, but I know he is a guy they are high on in the program. I have Colorado projected to finish second in the league behind Arizona and it is a team that should definitely go to the NCAA Tournament. 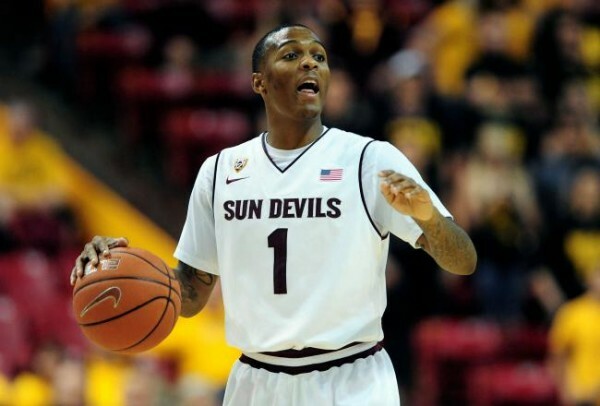 RTC: Arizona State guard Jahii Carson is perhaps the most talented player in the league. The Sun Devils were a much-improved squad last season and challenged for an NCAA Tournament berth for much of the season. Do you believe Carson will be able to lead Herb Sendek’s team this season to its first NCAA Tournament appearance since 2009? MacLean: I think Arizona State has a real good chance at getting back to the NCAA Tournament. Carson is an outstanding player, but there are more pieces there. Jermaine Marshall is eligible right away after transferring from Penn State and he was among the scoring leaders in the Big Ten last season. The big man Jordan Bachynski is going to take another step forward with his game. I think there are enough pieces on this roster for a successful season. Arizona State had a good year in changing its style last season because of Jahii Carson and I think that is only going to improve this season. Simon: It is going to be tough. I know Arizona State ramped up its non-conference schedule. I actually talked to Herb Sendek about that at Pac-12 media day. That is what the committee looks at, so they made the necessary changes. The Sun Devils lost Carrick Felix from last year who was really an important piece. They do have Jermaine Marshall coming in from Penn State and Jordan Bachynski is a shot-blocking machine in the middle. The Pac-12 is a difficult league this season, so Arizona State is really going to have to do well in the non-conference slate. If it can finish between fourth and sixth in the league, it should be in the fight for a bid. I picked it to finish sixth. What helps the Sun Devils out though is that Jahii Carson is so dynamic. He can carry the team for stretches, but I am not completely sold on that being enough this season. RTC: Cal returns many of the players that helped the team reach the Round of 32 in last season’s NCAA Tournament. However, its lone significant loss is Allen Crabbe – who was the team’s best player. If much-heralded freshman Jabari Bird can live up to the hype and if scoring guard Justin Cobbs can remain healthy, what can the Golden Bears accomplish this season? MacLean: It seems like every year people discount Cal and do not think it is going to be one of the better teams in the league. Mike Montgomery has proven that he is going to be one go the best coaches in the country on a yearly basis. I do not think Jabari Bird is going to be as good as Allen Crabbe right now, but he is certainly talented. From everything I have heard, he is off to a good start up there. Justin Cobbs is a great piece for Cal. He can score very well. I definitely believe Cal is one of those teams that can contend in the conference and having much of the same players from last season is certainly a big plus. Simon: I think Cal is another team that is loaded. It returns four starters and Justin Cobbs is really a great player. He is coming off a broken foot, but he should be healthy when the season begins. Jabari Bird was a McDonald’s All-American and he will step right in to replace Allen Crabbe. He is a dynamic guard who can score inside and out. His athleticism is elite. If you remember, Cal’s big men Richard Solomon and David Kravish really played their best basketball towards the end of last season. I expect both of them to continue to improve as the season begins. Cal is also a team with one of the best coaches in the country in Mike Montgomery. This is a team that certainly should make the NCAA Tournament and I could see it competing for the Pac-12 title. RTC: There is little doubt that Andy Enfield can turn Southern Cal into a relevant squad in the Pac-12 and on the national landscape. The cupboard is a bit bare for the Trojans right now, but what can Enfield’s squad achieve this season for the year to be considered a success? 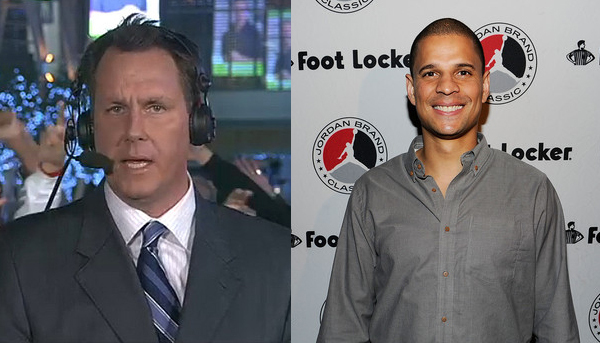 MacLean: I think Andy Enfield and his staff need to build their culture there. The way Enfield wants to play does not happen overnight. He has not really had the time to recruit the type of players he wants for that system, so I think it is going to be a challenging year for Southern Cal. I do, however, think there is enough talent there to be able to sneak up and challenge some teams on any given night. In year one for Enfield, I do not think expectations are too high based on the roster that is coming back. In a couple of years, I think you will see Enfield having Southern Cal as one of the contending teams in the conference. Simon: I think the biggest thing Southern Cal can accomplish this season is to show Enfield’s style of play. By doing that, the program will show to recruits in Los Angeles and Southern California that this team is consistently going to play fast break, up-tempo basketball. It needs to show that it can play a similar fashion to the way Enfield had Florida Gulf Coast play in last season’s NCAA Tournament, which made it the darlings of the postseason. That is the style of play that recruits are looking for from a Los Angeles team and it is a style it has not seen with Kevin O’Neill and Ben Howland at the helms of the two Pac-12 programs in the city over the past few seasons. If Southern Cal can become a bit of a Dunk City West this season, there are going to be some exciting times for the Trojans. RTC: Washington is a program that has fallen a bit over the past few seasons. Due to what he has already accomplished with the program, it is logical to say that Lorenzo Romar’s job status is currently safe. 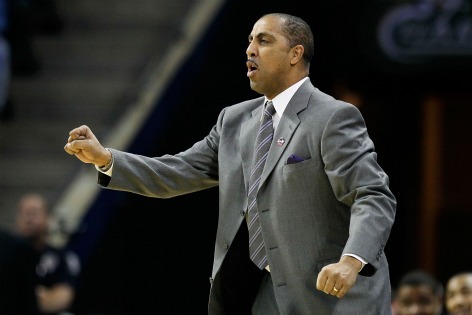 What will the Huskies have to do on the court to keep Romar off the hot seat and what do you believe this year’s team is capable of accomplishing? MacLean: I do not like to speculate on the job statuses of coaches in the league, but Washington is a bit down based on what Lorenzo Romar has been able to accomplish there. Romar is almost a victim of his own success because the program has had so much success during his tenure. I think this is going to be one of those years where people are not really expecting much and Washington is going to surprise a lot of people. C.J. Wilcox coming back for his fifth-year is huge for the team. I think he is going to have a really big year. He had nagging injuries for almost all of last season. He is healthy now and I am expecting a monster year from him. If Washington gets back to playing the way it did when it had a lot of success – high pressure defense, solid rebounding, and athleticism – I think it can end up being one of the better teams in the league. Simon: I do not know about all the hot seat stuff. Lorenzo Romar has had tremendous success in Seattle. He has won a lot of games, won Pac-12 regular season and tournament titles, and has had the Huskies pretty consistently in the NCAA Tournament. I do know this team has some talent. Freshman Nigel Williams-Goss is going to step in and be an impact guy. He is tough as nails and a winner. C.J. Wilcox comes back for the Huskies and he is one of the best perimeter players in the league. Perris Blackwell is eligible this season after transferring from San Francisco and he should contribute right away in the post. This is a team that is always going to play hard. It defends well and should be very tough to beat in Seattle. It may struggle to finish in the top half of the league, but it is a team that should not be taken lightly. RTC: Johnny Dawkins arguably has the most talent he has had at Stanford with players such as Dwight Powell, Aaron Bright, and Chasson Randle returning for the Cardinal. Do you think this will be the season that Dawkins finally leads the program to the NCAA Tournament? MacLean: I think there is a good chance. Stanford has a very experienced group. Andy Brown is gone, but Anthony Brown is back. He missed almost all of last season due to injury and he should definitely provide a boost. The offense really had issues scoring at times last season, as it shot only 41% as a team. I think if Stanford can figure that out by finding easier ways to score while shooting a higher percentage, there is not doubt that this can be an NCAA Tournament team. Simon: Johnny Dawkins has a very talented team this season. His best recruiting class of Dwight Powell, Aaron Bright and Josh Huestis are now all seniors. Anthony Brown returns from injury and he should be an impact guy on the wing. Chasson Randle is now an upperclassman and I think he is ready to take that next step forward with his game. This is an NCAA Tournament-caliber squad and I think it should do very well this season. RTC: If you had to name a sleeper team in the league, who would it be? MacLean: I think it is probably Arizona State. Everyone kind of has it in the #6-#8 range in the preseason, but I think it could be better than that. I kind of have to see it first, but I think Jahii Carson is going to take another step forward. Arizona State beat some teams last season – especially at home – so I think that is definitely a squad that can finish higher than a lot of people are projecting. Simon: Utah is going to be a team that might sneak up on some people. It has a good young core – led by Jordan Loveridge – returning from a team that won a game in the Pac-12 Tournament last March. This is a team that finished last season really strong and it can always be counted on to compete. I am not sure if there are really going to be any considerable surprises in the league because I think everyone knows what to expect from each and every team. RTC: There are many high quality players and coaches in the league. Who do you expect to take home conference Player of the Year and conference Coach of the Year when all is said and done in March? MacLean: A lot of postseason awards depend on team success. If you are talking about who the best player in the league is, I think you have to look at Jahii Carson, Aaron Gordon, Spencer Dinwiddie and C.J. Wilcox. There are a lot of candidates. If a team finishes higher than it is supposed to and it has a guy who stands out, I think that is a guy who could probably win the award. It is hard for me to just pick one right now. When you look at Arizona, it has a lot of very good players that might end up just canceling each other out. I think the same thing is true when you look at coach of the year. If Arizona rolls through the league and only loses a couple times, Sean Miller will probably win it. Like I just mentioned though, if there is a team that performs a lot better than expected, its coach might be your coach of the year. There are a lot of candidates in both categories and it is going to be interesting to watch play out. Simon: I am going to go with Spencer Dinwiddie as Player of the Year. I think he is going to have a big year for Colorado and I think Colorado is a team that is going to win a lot of games. Coach of the Year is tough because there are so many good coaches in the league, but I am going to go with Dana Altman. I think Oregon is going to have another good season and I think he is going to do a great job replacing those guys who are gone from last season. This entry was posted on Wednesday, November 6th, 2013 at 1:40 pm by Walker Carey	and is filed under 2013-14 season preview, Regular Features, rtc interviews. Tagged: Aaron Bright, Aaron Gordon, andy enfield, anthony brown, arizona, arizona state, askia booker, c.j. wilcox, cal, chasson randle, colorado, damyean dotson, dana altman, david kravish, david wear, dominic artis, don maclean, Dwight Powell, feature, herb sendek, Jabari Bird, jahii carson, jermaine marshall, johnathan loyd, johnny dawkins, jordan adams, jordan bachynski, joseph young, Josh Huestis, Josh Scott, justin cobbs, kyle anderson, lorenzo romar, mike montgomery, mike moser, miles simon, Nigel Williams-Goss, oregon, pac-12, perris blackwell, richard solomon, sean miller, southern cal, spencer dinwiddie, stanford, steve alford, tad boyle, tj mcconell, tony parker, travis wear, ucla, utah, washington, Wesley Gordon, Xavier Johnson. You can follow any responses to this entry through the RSS 2.0 feed. You can leave a response, or trackback from your own site.